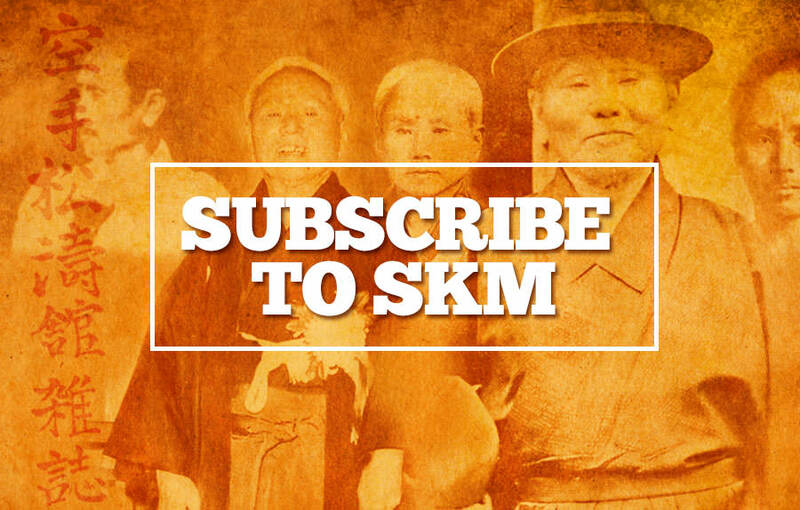 The last time we had an interview with Matt Price was in Issue 74, the January 2003 edition of SKM. So it’s been a while since he was featured, although Matt has had several of his articles published in SKM over the last few years. This really shows how Matt has gone full circle from being a top Shotokan competitor at World level in both Kata and Kumite to becoming an experienced instructor with a wealth of knowledge. Of course he is still quite young but like many other karateka, he started his training at a very early age. Most kids who start karate very young rarely carry on past their early teens when they discover other interests. When I started in the early 1970’s the classes were mostly full of adults jumping on the Bruce Lee bandwagon! There were children’s classes in those days but nowhere near on the scale of today where most dojo are 90% kids. Matt Price also decided to test himself to the full by going to the JKS Honbu dojo in Japan to take his 6th Dan examination. Personally I would love to have seen that because I bet the instructors who had to fight in the kumite with Matt had a hell of a shock!! He would not have been intimidated one iota, and I can tell you Matt Price is a ‘fighter’, he’s been there many times before! Scott Langley’s article is a bit different to the norm, as rather than the usual photographic examples of the techniques he discusses, you can actually see Scott do these excercises on Youtube. Also there is a brilliant example of a modern Sport karateka, Junior Lefevre, performing kata and the late Asai sensei performing the same kata... the difference is black and white! To me personally there is absolutely no comparison. No disrespect to Junior but in general WKF, competition style kata to my mind is virtually meaningless other than being very clean, sharp, speedy with great athleticism – but totally a sport version of karate kata... Whereas Asai’s kata has real depth and understanding of karate. To a none practitioner or maybe even people who follow and practice Sport karate, I’m 100% certain they would view the younger man’s (Junior’s) kata as by far the best and consider it far more powerful!! How wrong they would be in that assumption! But unfortunately this is where the direction of karate has headed, especially in sport competition where ‘how it looks’ completely outways ‘what it means’. I really like Scott’s article and this comparison puts into perspective exactly what he means by, ‘making shapes’. This point is quite interesting because when I bought the old JKA Black/White 8mm movie films (circa 1960) in Los Angeles in 1974, I was disappointed when I first saw Asai and Kase perform kata. I was a Brown-belt at the time, and obviously did not have an understanding at that level, I was looking for nice ‘shapes’ as Scott calls them. I’ve got a lot wiser as the years have passed and I can tell you for certain that many experienced karateka can look quite untidy, but most importantly they are using the ‘principles’ of the movements without appearing to have wonderful technique. CONTINUING THE PATH: A philosophical and physiological approach to training as we age. By Matthew Michaelson. One of the things that I’ve always enjoyed as a long-time reader of SKM is the continued articles on training as we get older. Certainly when we were younger, we could kick harder, punch stronger and faster, and could perhaps train for longer periods of time than we can now. Our bodies were young and supple, and we relied on youth, speed, and muscular strength to power our techniques, engage kumite opponents, and excel at Kyu and Dan examinations. But as time passes – and I’m sure many loyal readers of SKM can attest to – entering our third, fourth, or even fifth decade of regular training, the body inevitably ages (too bad). Our joints tighten, the injuries add up, and over time we feel the effects of years of regular, hard, and indeed good Karate training. Maybe some of it was even not so good (meaning, smart to do), but we were motivated and inspired, and we trained hard as we both enjoyed and we were expected to. Those were excellent years, weren’t they! Banzai! The first philosophical commitment that I would offer one make is to simply commit to continue training. This may be harder than it sounds. Children, family and work commitments, illness/injury, etc. all have a way of requiring our time, effort, and resources that perhaps as younger Kohai we did not have to contend with. Thirty-five years ago, I needed only to secure a ride to the Dojo to ensure four or five days straight of two-hour training sessions, not including that awesome Saturday morning Kubudo (weapons) class. I paid no fees (thanks Mom and Dad), had minimal homework, and certainly only myself to look after so spending maximum time in the Dojo constantly was normal. Oh yeah, and the injuries healed much faster back then, too. For one to train now, you have to make a commitment to yourself, and to the Art, to suit up, warm up, and train for the sake of training. The majority of us don’t train for accolades or trophies anymore, but instead for other, indeed more mature, reasons. Whatever yours may be (health and fitness, self-defense, additional rank, a clear Mind, social group/support, etc. ), I’d offer that committing to stick with it, whether it be before work, with the kids, during your lunch hour... however, would be the first order of business. Once you’re cleared for training, listen to your body before, during, and after training. Are the aches and pains a sign of distress/pending injury or just overuse after a hard session or multiple sessions? Should you perhaps substitute a scheduled hard kumite night with slower kata training to allow some Achilles tendon healing and recuperation? Even if one was to sit in seiza (or in a chair, if needed) in extended Mokuso, simply practicing full-belly breathing, this is as well high quality training and should be considered as such. Be smart enough to ebb and flow as your body provides feedback on and off the Dojo floor and you can last a long time. If one listen’s well, it can be relatively easy to train in some way, even if small, every single day. Breath control and slow-motion kata, etc. are all staples of a well-rounded training program just as much as Makiwara, muscular conditioning, and kumite ever were. The trick is knowing what to do, how much, and when, and then allowing the body the healing and recuperation time necessary its repair and continued work. When in doubt, consult your medical professional (and don’t let ego get in the way). Lastly, on the philosophical side, I’d offer that as much as possible, to simply keep moving is critical to long-term training (and health). Nothing seizes the joints and body up quite as fast as lack of use, so while I am recommending smart training in accordance with one’s limits, I’d also offer that to entirely stop and then restart the engine again is much more difficult than just keeping with it, albeit if it needs to be of different intensity, frequency, etc. than when we were younger. It’s also important to train for yourself, not to try to keep up with the guy on your left or right, but for you and your Spirit alone. At its core, following the Martial Way has always been an individual endeavor, as no one could ever throw the punch for you or block/parry soon enough to evade an attack. Perhaps now you may be coming into your more formidable years of true Spirit, breath, and Ki training ... melding the Mind and Body as one, not relying on youth or sheer power anymore, but instead on wisdom, efficient technique, and the steadfastness to train as one who truly knows who and why they step on the floor. Now decades removed from our youth, we are now ever more mindful of the Tao, the Do, the true Way of Training. Again, one must consider this. From a physiological perspective, there are many ways to adjust one’s training as we age, with much or all of such modifications being based on the physical conditions of the individual Karate-ka. 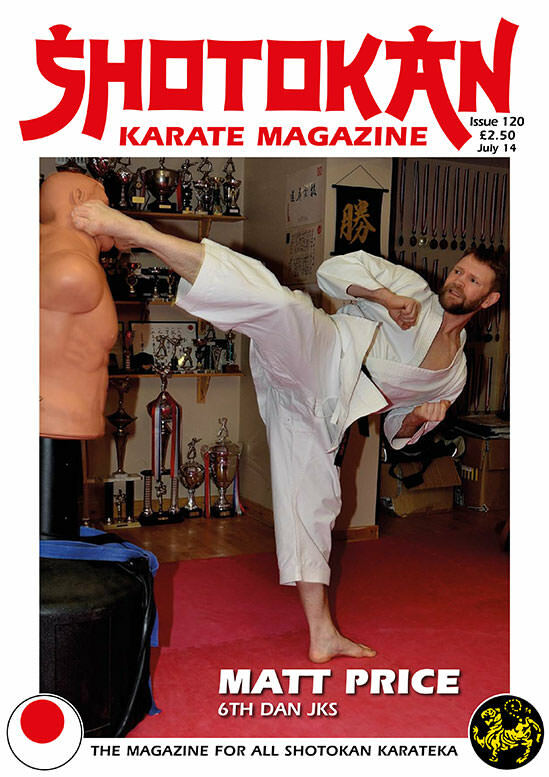 For the purpose of this article, I’ll focus on offering considerations for how to work with, or prevent (as best possible), three of the more common physical maladies that ‘older’ Karate-ka may experience – knee issues and injury (worn cartilage, ligament deterioration, etc), the ‘bad’ (lower) back, and shoulder rotator cuff injuries. If needed based upon a previous injury or the threat of pending injury, modest modifications to one’s training in these areas can assist in dealing with these maladies both in and out of the Dojo. As the largest joint in the human body, the knee is a wonder of evolutionary design: it connects our upper leg to lower leg, supports our full body weight, and remains instrumental in all locomotion and lower-body movement actions. But because it is such an intricate mix of bone, ligaments, tendons, and nerves, it can be easily overused, inflamed, or damaged with excessive or biomechanically adverse activities. Two such activities that should be considered for reduction or avoidance by older Karate-ka include an exercise commonly referred to as ‘duck-walking’ and the ‘hurdler’ stretch. In duck-walking one crouches as far down as they can in a forward direction, and then proceeds to walk, somewhat closely resembling that of a duck. Biomechanically, duck-walking places exponential tension on the patellar tendon, a fibrous tendon that stretches from the main quadriceps (thigh) muscle over the kneecap, attaching distally to the main shinbone of the lower leg, the tibia. When flexing the knee far beyond 90 degrees in the full squat and movement of a duck-walk, this tendon is stretched to problematic and potentially dangerous levels and can lead to inflammation and injury. A good alternative to duck-walking that builds a strong core, leg, hip, knee, and ankle joint stability, and enhances balance would be the lunge (Photo A above). The hurdler stretch is another exercise that places the knee joint in a precarious position, which becomes further problematic once the athlete attempts to stretch or twist. By twisting the lower leg via the knee to the outside, unhealthy shearing forces occur in the entire knee capsule, with potentially dangerous effects to the several stabilizing and internal ligaments of the knee. A much better option for desired hamstring and lower back (lumbar) stretching would be the seated stretch with the leg tucked, where the lower leg is rotated medially versus laterally (Photo B ). With many years of use, including twisting, forward bending (flexing), kicking, jumping, etc., the inter-vertebral disks of the lower (lumbar) back can take a pounding, and degenerate over time, leading to ‘bulging’ disks that can protrude backwards towards the spinal column. Such degeneration can lead to chronic lower back pain, tightness, ache, and injury, and in worse cases tingling sensations, radiating pain, numbness, leg weakness, and loss of bowel control. Older Karate-ka should ensure their backs are fit for the energetic and sometimes ballistic kicking and twisting involved in karate training, and if needed amend their training to care for their lumbar disks (and their entire back) over time. Practitioners should consider adding back extension exercises and stretches to their training regimen (if approved by a doctor) to balance muscular strength and flexibility in addition to controlled flexion movements, and they can be as part of a complete core training and stabilization program. Excessive forward flexion of the spine should be carefully managed, especially when loads (weights or resistance) are used during such activity. Such exercises to be wary of for older students would include exercises such as weighted ‘good-mornings’. A better alternative would be lying prone back extension, or, as a more advanced version, partner-assisted (legs held) back extensions (Photo C) and stretches such as in Yoga’s common ‘Sphinx’ and ‘Cobra’ poses. Karate-ka with known lower back issues should also be wary of doing lower back/hamstring stretches where partners provide additional assistance by pushing on their lower back to further the stretch, as this could trigger to muscular/ligament aggravation/pulls or disk injury. Again, when in doubt, please consult your medical professional and/or Sports Medicine professional for advice and direction of proper exercises and technique in regards to your specific health and condition(s). Lastly, the fabled muscles, ligaments, and tendons of the shoulder, or ‘rotator cuff’, provide tremendous upper arm and shoulder flexibility, stability, and range of motion control while performing many blocks and strikes in Karate-do. It is important for older Karate-ka to manage and be conditioned to listening and feeling for any grinding, popping, looseness, or (hopefully slight) shearing sensations when blocking, striking, or performing throws, as these could indicate pending weakness, degeneration, or injury. Any direct blows or impacts that force the upper arm directly backwards in the shoulder socket should be avoided, as these can lead to a painful dislocation or subluxation (partial dislocation) needing long-term recovery. To help prevent against injury and to overall strengthen the shoulder capsule, older karate-ka should consider adding internal and external rotation exercises to their normal training/fitness regimen (Photo D and E,). These exercises rotate the humerus (upper arm) in the shoulder socket against light resistance, strengthening the internal muscles and ligaments so crucial to long-term shoulder stability, range of motion, and health. The longer one trains, it is also recommended that these exercises be added to a warm-up regimen before quick, powerful blocks or strikes are performed. When trained completely and with focused attention, Shotokan Karate-Do/Ryu provides a complete fitness system with aerobic, anaerobic, flexibility, strength, balance, and power training all designed for the complete development and health of the practitioner. As with all exercise/fitness systems, however, sometimes we can overdo it, or as years pass by the body can wear down. The ideas offered in this article, both philosophically and physiologically, provide some insights and recommendations for continued training as training years mount up, and they are all designed to provide older Karate-ka some thoughts and tools that could contribute to many years ahead of enjoyable training. The late Taiji Kase Sensei once said most simply and directly, “The Way is in Training”. As the years pass, continuing to “Walk the Path” from an energetic, inspired, and healthful point of view can go a long way to maximizing our wonderful years in the Dojo. Train well, and smart, and I’ll see you on the floor. Osu! Matt Michaelson, Godan (SKJF), M.S., is a Retired U.S. Army Lieutenant Colonel, veteran of both Operations Iraqi and Enduring Freedom (Afghanistan), and a Certified Personal Trainer with the American College of Sports Medicine. He enjoys training and teaching Shotokan and Personal Training/Wellness Consulting in Northern Virginia, USA. His Path in Karate-Do began in Long Island, New York, in 1979.